Club Penguin Cheats by Mimo777 Club Penguin Cheats by Mimo777: Club Penguin December Membership Page! 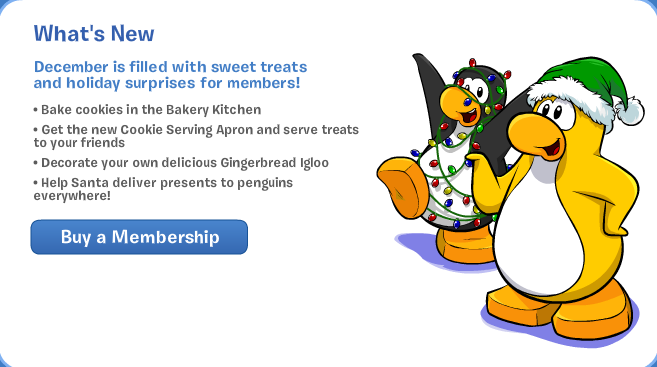 Club Penguin has updated their membership page for December! Sounds sweet... literally, don't you think? Oh good, I like the different aprons. They work at a lot of parties.